GEORGE HARRISON: CLOUD NINE: 1987: 4 STARS OUT OF 5 STARS: George’s last album during his lifetime. The album went to #8 in the Billboard Album Chart and I’ve Got My Mind Set On You-was a #1 single. His first album in 5ive years at that time since 1982’s Gone Troppo. Highlights- Cloud 9, That’s What It Takes, Just For Today, This Is Love, When We Was Fab and Devil’s Radio. The production of Jeff Lynne is evident here for good or ill. 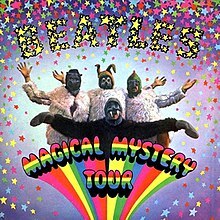 THE BEATLES: MAGICAL MYSTERY TOUR: 1967: 5 STARS OUT OF 5 STARS: Ranking the songs in order of greatness: Strawberry Fields Forever/ Penny Lane/ I Am The Walrus/ All You Need Is Love/ The Fool On The Hill/ Baby, You’re A Rich Man/ Hello, Goodbye/ Blue Jay Way/Magical Mystery Tour/ You’re Mother Should Know/ Flying. 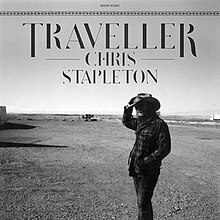 CHRIS STAPLETON: TRAVELLER: 2015: 4 STARS OUT OF 5 STARS: I detest most country music of the past twenty years or so-but there are a few shining stars and Chris Stapleton is one of them. His solo debut album from three years ago was highly acclaimed and worth all the praise. The title song is one of my favorite songs of recent times-Tennessee Whiskey, Parachute, Nobody To Blame, Fire Away and Daddy Doesn’t Pray Anymore among my favorites on the album. 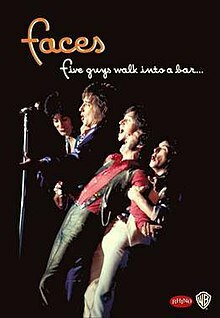 THE FACES: FIVE GUYS WALK INTO A BAR: 2004: DISC 4: One of the great things about this box set- like the Big Star box set- usually when you get to the last disc in a box set the decline of the artist/ band has set it- with these two box sets the bands life span was too short for the rot to set it so you get an entire box set that is strong from start to finish. Love Cloud 9 still today… Devil’s Radio is great and pure George.